One of the biggest challenges to achieving No-Kill in the City of Los Angeles or, for that matter, in any community, is implementing a program to effectively reduce the number of feral cats in our neighborhoods without having to resort to euthanasia or killing. Estimates on the feral cat population in LA are difficult to make, but they range from the tens to the hundreds of thousands. Feral cats are cats that are born in or have reverted to a wild state. They are born from tame unaltered cats that owners abandon or allow to run loose. These cats mate with other free roaming cats, and their offspring, raised without human compassion, are wild (or feral). These cats then grow up and breed with other feral and free roaming cats and the cat population explodes exponentially. Communities employ one of three methodologies to deal with feral cats: 1) Do nothing, 2) Eradication, or 3) Trap/Neuter/Return (TNR). While it is easy to understand why doing nothing has little effect on reducing the population (and, in fact, allows it to grow), it may not be as easy to understand why eradication does not work. Although many communities employ eradication (“catch and kill”) as a remedy to this vexing problem, decades of “catch and kill” in communities across the United States have irrefutably demonstrated that this methodology does not work. There are two very real biological reasons why “catch and kill” fails. Wild animals tend to have strong biological survival mechanisms. Feral cats, which are wild animals, typically live in colonies of six to twenty cats. You often never see all the cats in a colony and it is easy to underestimate the size of a feral cat problem in a neighborhood. When individuals or authorities try to catch cats for extermination this heightens the biological stress on the colony. This stress triggers two survival mechanisms causing the cats to 1) over breed, and 2) over produce. That is, rather than having one litter per year of two to three kittens, a stressed female could have two or three litters per year of six to nine kittens each. When some or all the cats in a colony are removed, cats in surrounding neighborhoods gravitate toward the ecological niche left behind. When a colony is removed but the natural conditions (including food sources) remain, the natural deterrents offered by an existing colony of territorial cats evaporate and the neighboring cats quickly enter the newly open territory, bringing with them all the associated annoying behaviors. As we’ve seen time after time in location after location all over the country, the end result of the “catch and kill” methodology is always the same: The vacated neighborhood quickly finds itself overrun again with feral cats fighting and caterwauling for mates, over breeding, and spraying to mark their territory. Thus, “catch and kill” is not a solution at all. Albert Einstein defined “insanity” as doing the same thing over and over again expecting different results. That is why so many communities are abandoning “catch and kill” in favor of trying the newest, and only humane, non-lethal alternative: TNR. 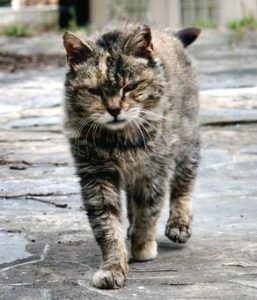 While I was in Maricopa County, TNR was so successful that the County Board of Supervisors enacted a resolution declaring TNR the only viable methodology they would approve for addressing the feral cat problem in this community of 24 cities and towns (including Phoenix) spread out across nearly 1,000 square miles. There are many benefits to TNR. 1) TNR prevents the vacuum effect from occurring. 2) Altered cats display none of the troubling behaviors of intact cats: fighting and caterwauling for mates, and spraying for territory. 3) The cats continue to provide rat abatement, a service many neighborhoods value, and 4) because feral cats tend to only live three to five years the problem literally solves itself through attrition, provided TNR is implemented community wide. As we review our 2006 numbers it is clear that free-roaming cats represent our biggest challenge to achieving No-Kill in Los Angeles. With a clear understanding that moving away from “catch and kill” as a way to manage feral cats was necessary, the Board of Animal Services Commissioners adopted TNR as the official policy of the department. We are now working on an implementation program called Operation FELIX (Feral Education and Love Instead of X-termination). Operation FELIX will make it easier for responsible Colony Managers to help us substantially reduce the feral cat population without resorting to euthanasia. Progress on the program has been delayed by local environmental groups concerned for the welfare of bird populations. The California Environmental Quality Act (CEQA) requires that a variety of environmental issues – including the potential impact on wildlife – be taken into consideration whenever a jurisdiction approves a project, program or other action. Animal Services is reviewing these issues relative to TNR and is complying with state law by preparing a study covering all relevant issues. When completed, we are confident this study will be the most extensive non-academic review of this subject matter ever done in the United States and will show that TNR can be implemented with minimal negative impact on the environment. As the aim of local environmental groups is to reduce the feral cat population so song bird and other wild life populations are able to thrive, it is my hope they will support the only effective methodology demonstrated to accomplish their objective, TNR. In the meantime Animal Services is requesting all cat owners to spay or neuter their cats, and if possible, keep your cats indoors. Indoor cats live three times longer than outdoor cats. And although your kitty may try to convince you that he or she wants to go outside, nothing could be further from the truth. Cats prefer to be with you and will only be stressed by the threats and dangers of the outside world, living a shorter life as a result. If you love your cat, keep your cat indoors. If you let your cat roam outdoors, please spay or neuter and microchip him or her so you are not contributing to LA’s cat overpopulation problems. Microchipping is the best way to give us a fighting chance of returning your lost cat to you when he or she turns up in one of our six Animal Care Centers. Wildlife experts commend the city of Los Angeles’ No-kill policies, stating such policies are rare among animal-control agencies in the United States. No-Kill policies typically apply only to dogs and cats. But LA Animal Services is applying its “reverence for life – No-Kill” philosophy to all animals: companion pets, wildlife, farm animals, and exotics. All of which LA Animal Services rescues in large numbers every year. Killing off coyotes and other L.A. fauna could actually make life worse for humans. HUMANS NEARLY exterminated the wolf in the last century, but coyotes have proved to be real survivors. They’re now the principal wild canine in California, despite man’s best efforts — trapping, shooting, poisoning — for 150 years. Harried, dislocated and hunted, coyotes nonetheless flourish. And now, like a couple of L.A. hipsters, a pair of urban coyotes have started prowling the neighborhoods around trendy Melrose Avenue, 3rd Street and the Grove. The locals are alarmed, dialing up animal control and their city councilman to report the sightings and ask, worriedly, are these animals a threat? Can’t something be done to move them? In many parts of the city, a coyote sighting doesn’t rate a turned head, let alone a call to the City Council. But they aren’t typically spotted in this densely developed part of town. So how’d they get there? One theory is that a good samaritan found them injured and nursed them back to health before they escaped. Another is that they came in unaware in the back of a truck. It is also possible that they simply walked there looking for water. After all, under all this concrete, L.A. is still a desert that many forms of wildlife call home. Clever coyotes might be able to walk the mile or two from the Hollywood Hills, crossing the boulevards under the cover of darkness. Some people, who believe we can isolate ourselves from our wild surroundings, find such wildlife a nuisance that should be removed. But it’s not that easy. California regulations say a trapped coyote must be either euthanized or immediately released on site. Remarkably, the rules allow sick or injured coyotes to be taken for rehabilitation, but healthy ones must be killed if not released then and there. Given the unusual circumstances of our midtown coyotes, Los Angeles Animal Services has asked the California Department of Fish and Game for a special dispensation to allow us to attempt to trap this pair and release them back into the wild. 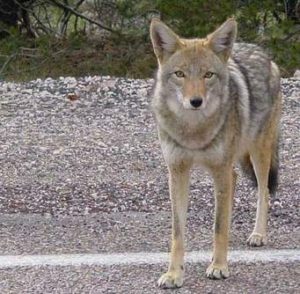 Animal Services has a unique no-kill policy toward wildlife, including coyotes, and for good reason. Killing coyotes has the unintended consequence of producing more coyotes, not fewer. Mother Nature provided them with a powerful survival mechanism: Smaller social group size increases the food-per-coyote ratio, and this food surplus biologically triggers larger litters and higher litter survival rates. Even if we wanted to trap or kill all the coyotes in a designated area, history shows the vacancy won’t last. Coyotes, like the rest of nature, abhor a vacuum. Larger litters rebuild the population and, with no rivals to keep them at bay, coyotes from the surrounding areas move right in. The end result of these futile eradication efforts is always the same: The area is quickly overrun with new, and often more, coyotes. Coyotes — once largely confined to the northwestern corner of the continental U.S. — can now be found in L.A.’s Griffith Park and New York’s Central Park, in snowy Alaska and sultry Florida. Threatened by human expansion, they find new homes wherever it is convenient. Because our expanding cities keep eating up habitat, we’re destined to live with the urban (or suburban) coyote. But that shouldn’t be too much trouble. Coyotes are afraid of humans and almost never attack them. The most reliable estimates assert that there have been fewer than 300 recorded coyote attacks that resulted in human injuries, most involving small children. There are about 3 million children bitten by dogs every year, so a child is considerably more likely to be hurt by the family pet. That family pet might also lure coyotes — either as prey or as a mate. Unspayed female dogs in heat will attract male coyotes, and likewise unneutered male dogs can be lured by the scent of a female coyote. There have been cases of such a lothario being killed by males in the coyote pack. Fixing your dog fixes this part of the problem. But small dogs and cats are particularly vulnerable to attacks by hungry coyotes and should be kept indoors whenever feasible. Coyotes are smart, fast and agile — they can sprint up to 40 mph and have been known to scale chain-link fences. They will take what they can get — pet food, garbage, even fruit that’s fallen off trees — day or night. If you don’t like your local coyotes, remember this: An area with coyotes is never overrun with rodents — a lesson learned by Klamath County, Ore., in 1947. After attempting to eradicate their coyote population, they soon found themselves infested by rodents, experiencing the poetic truth that you don’t know what you’ve got till it’s gone. On Wednesday, January 17th, we all remembered the 13th anniversary of the devastating Northridge 6.7 earthquake. This anniversary provided a time for reflection of the leadership role LA Animal Services played in rescuing and returning animals to their frantic owners during those frightful days. Over 650 dogs were rescued in the days immediately following the quake and over 400 were safely returned to their owners. For the remaining animals, Animal Services conducted a huge Fees Waived Adoptathon on Feb.12, 2002, to ensure every animal rescued during the disaster was given every opportunity to find a loving home. On that day alone, over 300 animals were adopted. As we prepare for future emergencies, especially “the big one” (which experts suggest will be like 25 Northridge quakes lined up end to end), it is important to recognize that an estimated 75 to 80% of all Angelinos own pets, and that studies have found that 86% of all pet owners are willing to risk their lives to save their pet’s life. That was certainly borne out during the Katrina disaster. 50% of the people who refused to evacuate (even at gun point) said it was because they would not leave their pets behind. The over 50,000 pets left behind in New Orleans after Katrina prompted President Bush and the Congress to enact a law late last year requiring states to include pets in disaster relief plans or risk losing federal funding if pets are not included. This question suddenly reminded me of where I was on 9/11 2001. I was at an HSUS Conference in Washington DC, just a block from the Pentagon. I was staying at the Crystal Hotel and was there in my capacity as Executive Director of Maricopa County’s Animal Care & Control Program. It wasn’t long after the attack that the hotel was filled with all the brass from the Pentagon who had hastily decided to set up their Incident Command Post in the hotel lobby. As you can imagine, everyone was reeling from the images of the World Trade Centers on TV and the smoke from the Pentagon wafting through the building. He looked at me for a few moments before saying, “Yes, we did have an emergency plan for an attack like this. Everyone in the building was to meet in the hall where the airplane struck.” There was no plan B. When Plan A was no longer an option, everyone ran to the closest shelter, the Crystal Hotel. Less than two years later I was the executive director of New York City’s Animal Care & Control. My office was one block from Ground Zero. It was while I was in New York City that I learned of the heroic and largely unrecognized work done by the animal care and control officers of that department, along with the City’s Urban Park Rangers, on 9/11. In the days following 9/11, Animal Care & Control Officers and Urban Park Rangers rescued over 1200 pets from the surrounding residential buildings over the objections of the Fire and Police Chiefs who felt the buildings were unsafe. These brave officers climbed 30 story buildings in the dark and smoke, without air conditioning or electricity. They went from apartment to apartment not knowing if the buildings they were in would stand or fall. They wore “moon suits” with respirators so they could breath. Within three days they rescued 1200 animals and within two weeks they had returned every animal to its rightful owner. Los Angeles Animal Services and Animal Care & Control of New York City both serve as models for massive pet evacuations and safely returning animals to their owners, as contrasted with what happened after Katrina. To be sure, Katrina was a disaster of much larger geographic scope than either the Northridge quake or the World Trade Center disaster. However, there is one troubling similarity between 9/11 and Katrina, and that is how so many of the national animal welfare organizations capitalized on the disaster. They raised millions of dollars but, according to independent animal rescuers who aided in efforts to save animals in the aftermath, did much less than they probably could have to actually rescue and return pets to their owners. I know that New York City Animal Care & Control, the agency that did the lion’s share of saving animals’ lives during the 9/11 tragedy, received nothing from the millions of dollars raised by the organizations who ostensibly raised these monies to alleviate the suffering of the animals in the disaster. In the future, local animal care agencies and private sector animal welfare groups should work together to create more effective public-private partnerships and generate improved outcomes for these animals who find themselves in desperate straits. Most communities have an animal control agency that is equipped and trained to handle such emergencies (or they are working on a plan to do so). When deciding who should take the lead in rescuing and RETURNING animals in a disaster, local communities should rely on the agency that provides this expertise every day of the year, their local animal control department. In Los Angeles, every day is a human-made disaster in terms of numbers when it comes to rescuing and returning lost, homeless, and displaced pets: LA Animal Services routinely receives on average 125 animals a day. Animal Services is diligently planning and preparing to respond to a variety of human-made and natural disasters. Our goal is to make LA the safest City for animals in the United States even in times of disasters. Animal Services is responsible for protecting and promoting the health, safety and welfare of animals and people in the city of Los Angeles. The department’s Emergency Preparedness Division leads and coordinates preparedness, response, recovery and mitigation efforts relating to natural and manmade disasters that affect the health and safety of pets and wildlife in the city. Animal Services takes seriously its responsibility to educate the public in preparing their pets for disasters, to ensure pets are included in the City’s evacuation plan, to coordinate animal rescue efforts, to establish plans for setting up emergency shelters for homeless pets, and to coordinate the training of shelter and field staff in the incident command system that’s used in disaster response. LA Animal Services coordinates all interagency animal-related responses in the City’s emergency operations center during a time of disaster. If you belong to an LA City-based organization and you are interested in learning more about this important topic, please contact LA Animal Services at 213.482.9556 to schedule a presentation on disaster planning for pets. Together we can develop a comprehensive “safety net” for all the members of our family, including our companion animals. There is a book entitled, “If You Meet Buddha On The Road, Kill Him.” This adage applies to all the gurus in animal welfare. Without question, we need to learn everything we can from every available source. However, real problems begin when we start to blindly follow the gurus and stop thinking for ourselves. Fortunately, and curiously, this tendency seems to be occurring with only a few of the most militant members of the animal rights community in LA. I receive an email or two each week telling me what guru a, b, or c has to say about running a large municipal animal welfare organization. None of these folks seem troubled by the fact that these gurus have no significant experience running an organization comparable to LA Animal Services in size and scope. The mere fact that these gurus are on the lecture circuit and charge for their advice is enough to allow them to be perceived as experts. I’ve learned there is no such thing as “guru osmosis.” There is no guarantee of success through anything but thoughtful preparation and hard work. I have been told by the very gurus that some think can easily solve the complicated issues facing LA that they would “never have” my job. Why not? If not them, who? Why do they not publicly offer to help? The door is open! And if they are not going to help (absent a hefty consulting fee), why do they lead people into thinking they are “waiting in the wings”? The animals don’t need experts in the wings; they need them on the front line! Success in LA will never be determined by who we follow, or by what philosophy we promote, or by anything other than our own personal involvement in saving animals and solving problems both big and small in a systematic way. The reason we have progressed as far as we have in LA is because of the positive involvement of the employees, volunteers, and partners of Animal Services who refuse to get mired in the mud-slinging and focus on achieving the goal. And we are achieving that goal as we focus on one animal at a time, 125 animals a day, week in, week out, month after month! Imagine what could be done if the entire humane community were pulling together to make good things happen instead of engaging in internecine warfare and doing everything possible to demean and demoralize those of us who are charged with turning the situation around. We’ll keep on pushing with or without their help, but more animals will live and the job will get done sooner WITH their help than without it. They must live with that reality! I received a call from a volunteer today who was ecstatic over delivering one animal in need of fostering to one of our New Hope partners. To my mind this volunteer did more to help LA take another step toward No-Kill in this one act of selflessness than all of last weekend’s protestors in all their self-serving actions combined. In the final analysis, we have to solve this problem ourselves: the only expert LA has, and needs, to solve local animal welfare issues is you. What are you doing to help? Pursuing ulterior motives or truly helping animals in need? You are the one who determines success or failure. The buck does not stop with LA Animal Services, the buck stops with each one of us. We can and we will achieve No-Kill when we stop being led around by the nose and agree to work together. By doing so we can and we will make LA the safest City in the nation for our pets! Rumor Mill: process of spreading rumors; the process by which rumors are started and spread. The LA animal welfare rumor mill is alive and well. It sows to the wind and often reaps a whirlwind of misunderstanding, confusion, and misguided attacks. It wreaks havoc that ultimately results in unnecessary suffering (or worse) for the very animals everyone wants to help. Every day generally circulated reports without facts to confirm the reliability of the reports cross my desk. Unsubstantiated charges and allegations require staff time and resources to investigate. More times than not the rumor turns out to be false. But the community has moved on to the next rumor and is no longer interested in the one that excited their passions the day before. To address this ever changing sea scape, LA Animal Services has developed a page on its website dedicated to providing the facts to rumors involving LA Animal Services. It is hoped this site will prove to be a valuable resource to all of us who are intent on making LA the safest City in the United States for our pets!